Aunt Jayne's All Purpose Seasoning is committed to protecting your privacy. We will not sell or disclose any information that identifies you to a third party without your prior approval. We may use the information we collect to periodically notify you about new services or special offers we think you'll find valuable. If you would rather not receive this information, you may send an e-mail to auntjayne@optonline.net with "Unsubscribe Me" as the subject line. 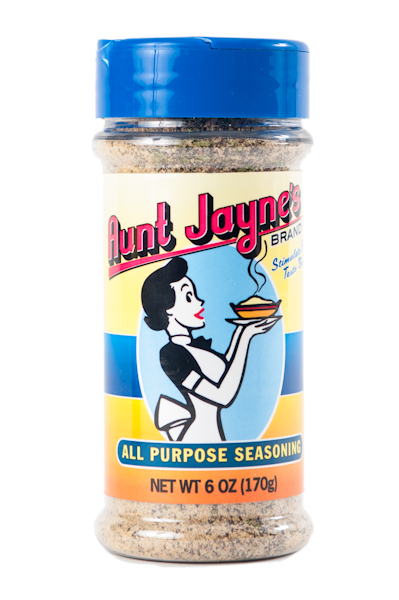 Aunt Jayne's All Purpose Seasoning does not sell, trade or rent your personal information to others. 100% Guarantee within 10 days of receipt.